Hello! 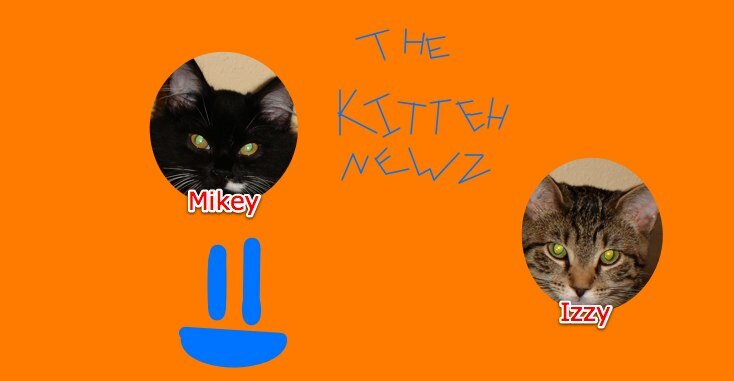 Welcome back to Kitteh Newz. Today's Question-Have you ever seen your cat do a hair ball? Let me know in the comments section. This morning, we noticed Izzy was gagging a little bit. We followed her, and sure enough, there was a hair ball. Then I found Mikey eating something. It was a hair ball. Then I noticed ANOTHER one by the guest room! So let me know-Have YOU ever seen your cat's hair balls? Oh yes, hair balls, mhm... hair balls take a lot of concentration, let us tell you that. I have seen what looks to be regurgitated food on the floor a few times. I have never actually seen hair though, but from what I understand, this is normal and what it looks like. This reminds me, I need to brush my kittehs!